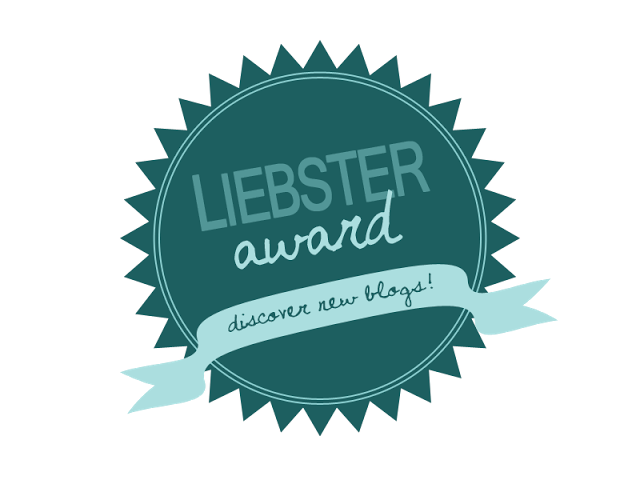 Sweet Spontaneity: Liebster Award, Round Two! Back in August I was nominated for the Liebster Award and I was recently nominated again by Marissa Clair at Clair With Charm. Since I was already nominated once, I decided to do it a little differently this time around. 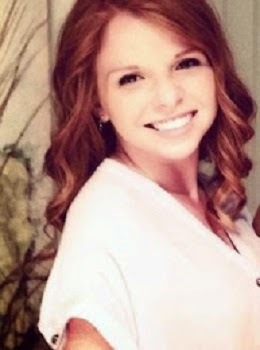 I'm just going to answer Marissa Clair's questions, since they are created by her and different from the original ones I answered. Feel free to check out my original post and to check out Marissa Clair's post too! I actually named my blog a couple different things when I first created it. It was the first month of university, I was living on my tiny campus (there were only 6 of us living on campus, so lots of alone time), and I had just learned about blogs and was reading them constantly so I decided to create one. I never thought I would ever have a reader and so for quite a while the name kept changing with my mood. It wasn’t until a couple of years later that I actually got into posting and maintaining my blog and finally chose Sweet Spontaneity. At the time I was really into alliteration and I also had an extremely wandering heart. All I could think about was going on grand (and not-so-grand) adventures, but I was also in a very transitional part of my life where I was learning that it’s great to have an idea of what you would like your future to look like, but you really can’t fully plan it because it’s ultimately God’s plan that will happen and not your own. Before this I had my whole life planned. I was very attached to it and had placed a lot of my identity in how that plan was supposed to work out. That plan was completely shattered. I couldn’t be more thankful now, but at the time I was completely devastated. So, with this new understanding, I was really embracing the excitement of the unknown and the idea of (responsible) spontaneity. When Sweet Spontaneity came to mind it gave me the same feeling that the phrase “The sweet taste of freedom” gives me… The sweet taste of spontaneity. I just realized that I kind of answered this in number 1, but I’ll explain a bit more. I remember having Googled “what to wear to college” while in my first month of university, and I came across College Fashion back when the Editor Zephyr was the only person contributing content and was still writing under the pen name Briana. From there I found Cupcakes and Cashmere, Fashion Toast, and a bunch of other blogs. My love of blogs kept growing so I thought I should make one too. It was kept secret from absolutely everyone in my life for a really long time before I finally told my first year house mate Jackie about it when we were studying one night a couple years later. What made me decide to start blogging regularly and actually sharing it was seeing so many awesome people just sharing about their lives, their faith, their travels, and whatever they saw fit! I love how you can make your blog your own and I wanted a place that I could share about my adventures, big and small. Dill pickles, hands down (only dill will do!). Pulled pork and Ukrainian beet rolls are next in line. 4. Where is your favourite place to shop? This is a little harder for me to answer, because I’ve been very conscious of what material items I bring into my life for several months now and at the same time my mindset has been shifting in regards to supporting local businesses versus grabbing a deal online. So where I would shop now (even though I haven’t really been shopping much) is different from where I loved to shop when I shopped a bunch. Short answer: I really like shopping at the local stores in Saskatoon (where I live), but I also shop online too. My heart is set on doing a North America road trip where I start at home in Saskatoon, drive through Canada to British Columbia, drive along the West Coast, make my way across the Southern States, travel through the Eastern States, and then dip under the Great Lakes on my way back home. I have no idea if this will ever pan out, but I would definitely be sharing about it on here if it did. 6. What’s your guilty pleasure? I never totally know what to answer when asked this. I guess there are a few: 5 cent candies (and lots of them), Red Bull (I know, so bad for you! ), and Home Renovation Shows. Five years is so far away, yet not. I see myself owning property, advancing in my career, and still living in Saskatchewan. I would set some aside for fun, like a trip or an event/experience, a portion would be donated to one or more worthy causes (definitely Autism Services of Saskatoon), and then the rest I would either put towards debt or if I had no debt then I would invest it or put it towards a down payment on a house or condo. 9. What is your all-time favourite movie? Chitty Chitty Bang Bang, and I don’t even totally know why! In the next year I hope to keep creating posts that I enjoy writing. Maybe I’ll collaborate with other bloggers or professionals, but what I want to do most is overhaul the design of Sweet Spontaneity and add in some new aspects that have been on my to-do list for a while. Thanks so much for the nomination Marissa Clair! Yes! It's one of those terribly good things! We'll definitely have to keep in touch! loved your answers & so glad i came across your site, i loveee it!!! Thank you! I'm glad you came across it as well - welcome!